On Monday, I was working on my 2011 taxes and I found an invoice for a Platinum Eagle purchase I made on December 9th based on spot $1492. Out of curiosity, I checked the price of Gold on December 9th and spot gold was $1709. Platinum was $209 LESS than the price of Gold, which coincidentally, was the largest negative spread between Gold and Platinum I have ever seen. The low for Platinum in 2011 was on December 29th at $1362. Gold was $1531 on that day, $169 below Platinum. Relative to Gold, I caught Platinum at the best possible time on December 9th. In early January, I wrote an article in the daily urging our readers to take advantage of Platinum’s “negative” price to Gold and on January 26th, I liquidated a large portion of Susan’s mining shares and invested the proceeds into Platinum one-ounce coins, based on $1597 spot. 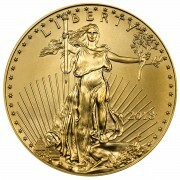 Gold was $1727 on January 26th and the negative spread had narrowed to $130, but it was still a good buy. 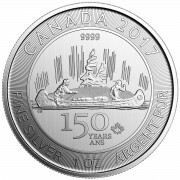 I was waffling back and forth on the purchase since January 10th, when Platinum was $1438, so that two-week delay cost us $159 an ounce. Just as I had suspected, Platinum was moving back toward its usual relationship with Gold, which is positive (costs more), not negative. 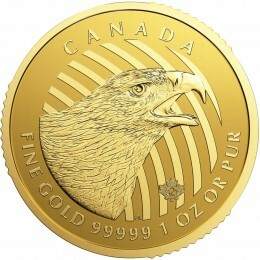 As of 5:50 a.m. on Wednesday, Gold is $1661 and Platinum is $1691. For the first time in six months, Platinum is selling for MORE than gold! It had to happen. Since the first of the year, Platinum is up over 20%. Gold is up 17%. The following chart shows the relationship between Gold and Platinum. Since 2000, the average ratio between Platinum and Gold is 1.73. The two metals are now roughly at parity. Platinum is still “cheap” relative to Gold. Platinum is still my choice over Gold. Not only is it priced well, compared to Gold, but if Gold is ever recalled, Platinum will surely be left alone and investors will rush to own it at any price, with Gold off the table as a legal investment. I have sold 25% of my Gold and used the proceeds to purchase Platinum. I am moving toward a 50-50 position in the two metals. 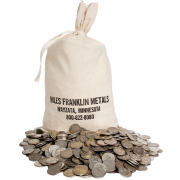 I like to “hedge” my bets and I believe in diversification within my precious metals portfolio. I have major positions in (physical) Silver, Gold AND Platinum. My mining shares are now down to under 10% of the total. Susan and I own Scorpio Gold and Tan Range (Jim Sinclair’s company) and they are doing very well, but I want physical metals, not dollar-based stocks. I want my wealth to be measured in ounces, not in dollars. Great article. I actually caught that too, and made a vid about it http://m.youtube.com/watch?v=33dmss_tGeg too bad I didn’t grab more platinum. If you think Platinum was a great buy at $1550, then be prepared to load up the truck, mortgage the house and sell the wife and kids should gold fall back to $1550. That will be the trade of the decade!